Synthetic Steel Wool Stripping pads are designed to get the surface back to its original condition. They are by nature a heavier denier fiber and may contain a more aggressive grit. 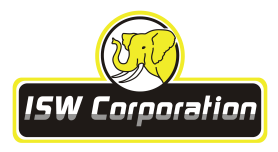 Elephant Brand pads are specifically designed with a more open weave to permit the chemical to do its job as it is agitated by the pad. Machine Speed: Up to 350 RPM. Brown High Performance – Our most aggressive stripping pad. Emerald High Performance – Cut stripping time significantly. Ultra-High Performance – Extremely durable for tougher stripping jobs. Black Stripping – Long lasting heavy duty stripping. Brown Dry Strip – For fast uniform stripping wet or dry. For light cleaning and buffing. Elephant Brand Synthetic Steel Wool buffing pads bring out the shine on floors. They are also used for removing light scuff marks and dirt. Machine speed up to 350 RPM. 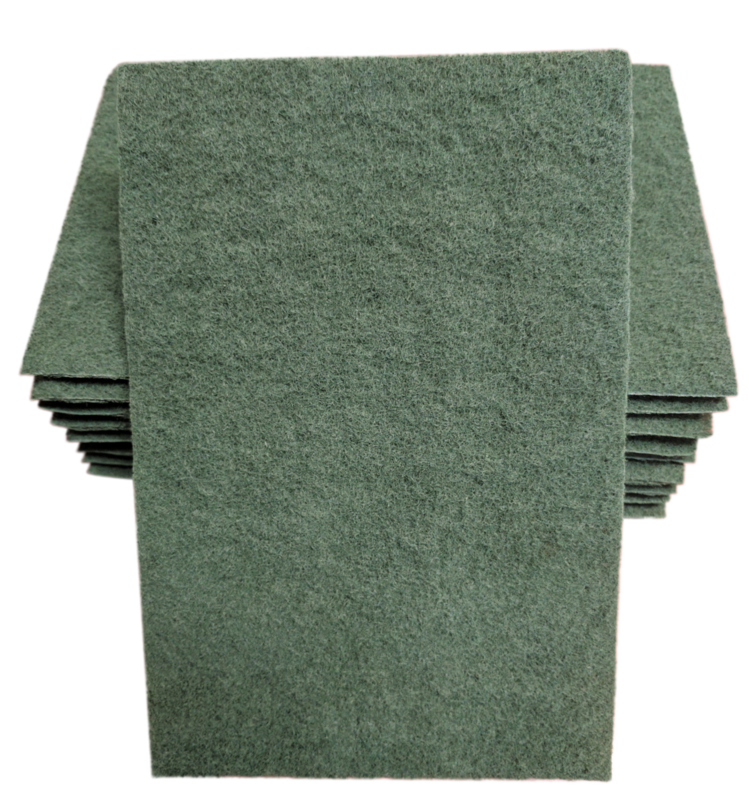 Synthetic Steel Wool Pads Scrubbing / Cleaning Pads are used for a range of purposes from light stripping to heavy duty scrubbing. 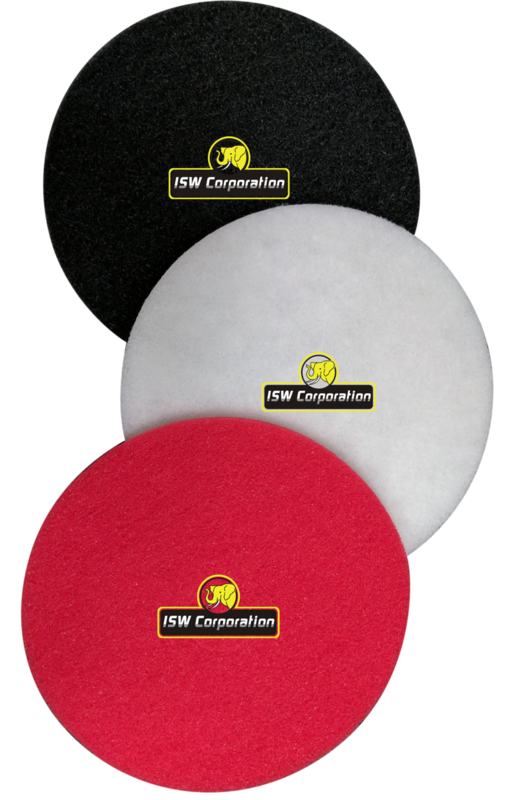 Choose these pads to remove heavily soiled areas and most scuff marks prior to re-coating. Machine speed up to 350 RPM. 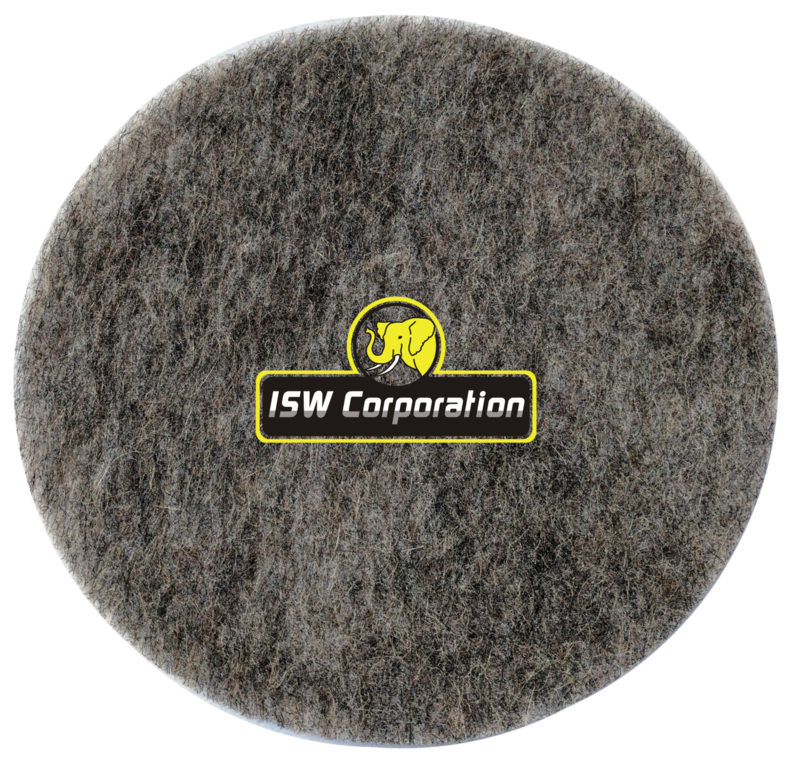 Elephant Brand Synthetic Steel Wool polishing pads bring out the shine on floors with conventional speed equipment. They are also used for removing light scuff marks. Machine speed 175 to 350 RPM. Tan Polish – For dry polishing buffable finishes. White Polish – For dry polishing or with fine water mist to ensure high gloss. Elephant Brand polishing pads bring out the shine on floors with conventional speed equipment. They are also used for removing light scuff marks. Machine speed 175 to 350 RPM. Elephant Brand Hog’s Hair pads are commonly used for buffing natural stone floors with polishing powders & compounds to create a natural appearance to a high gloss and sheen. A process similar to crystallization with steel wool floor pads, but requires more clean up. Use a 175 rpm weighted floor pad machine. Elephant Brand Hairless Hair Pad provides the same result as a typical hog hair pad, but without the “burnt animal hair” smell when it heats up. The pad is useful for hospitals, nursing homes, outpatient clinics and other facilities that may have occupants nearby during cleaning operations. Elephant Brand ELLY (Bio Degradable) Floor Pads are made with fiber from plants, not oil based materials, and have earned the USDA Biobased Product Certification Label. The fiber used in the pad is produced from Ingeo, a 100 percent plant based pellet. The manufacturing technology reduces carbon emissions by 80 percent vs. oil-based pad manufacturing. 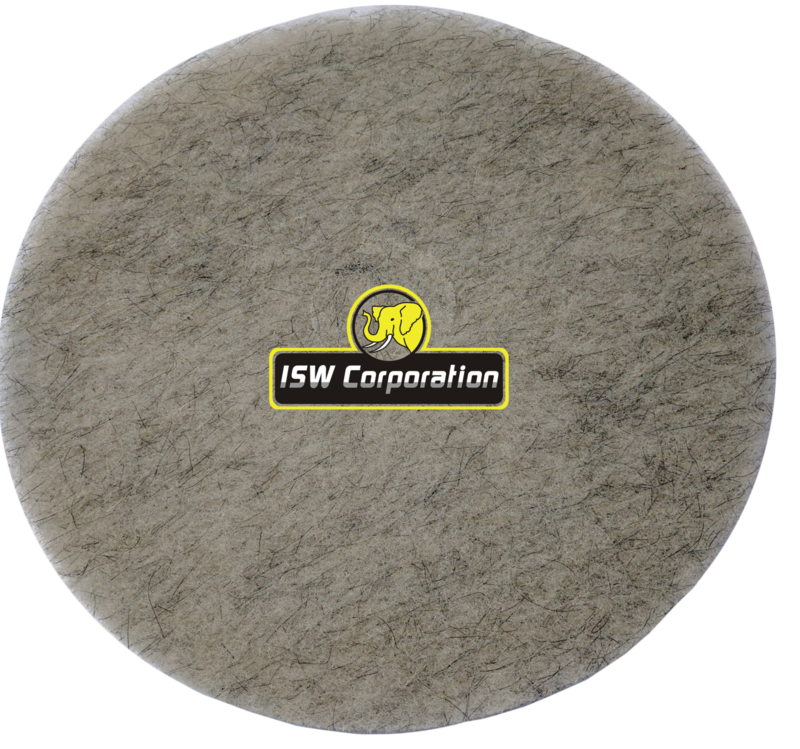 Synthetic Steel Wool hand pads are essential and Elephant Brand covers the spectrum of usage. Choose from the work horse and industry standard 96 to cellulose. This is the one stop for consistent quality and on-time delivery.